Only 1 per customer per job. Valid for a limited time. 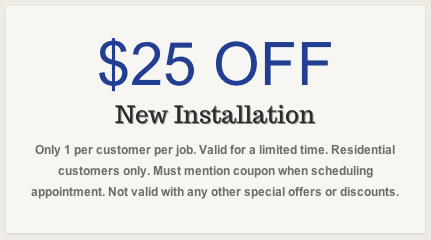 Must mention coupon when scheduling appointment. Not valid with any other special offers or discounts. Only 1 per customer per same day job. Valid for a limited time. 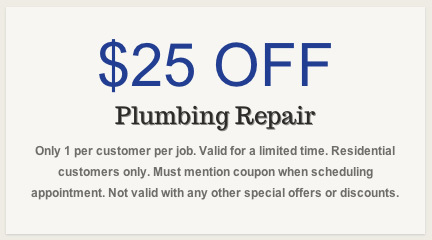 Must mention coupon when scheduling appointment. 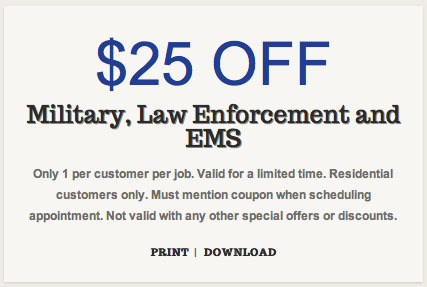 Not valid with any other special offers or discounts. Only 1 per customer per job. Valid for a limited time. Residential customers only. 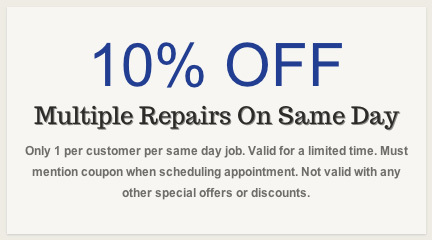 Must mention coupon when scheduling appointment. 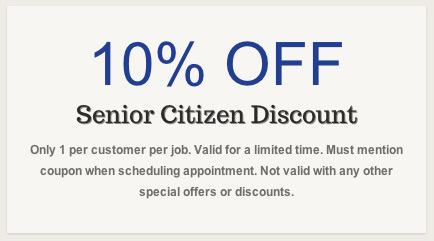 Not valid with any other special offers or discounts.